Using the “Ok Google” feature on Android phones is now very common among Android phones. Even with the coolness of this feature, well, some people do not like it. Some because they find it very awkward talking to their smartphones and others because they do not just like it. So below, we are going to be talking about how to get rid of it. There are different reasons why you may want to disable the “Ok Google” feature on your Android smartphone. You’ve probably never used it and do not intend on doing that so what is the point in keeping it on? You also may have tried using it and find speaking to your phone totally awkward. Or maybe, you’re tired of the false positives given during regular conversations. Well all of them are quite understandable. Well, there is also the issue of how disabling “OK Google” on your phone would affect Google Assistant. Well, right for you, disabling Ok Google doesn’t really change how your Assistant works. The only change you will experience is that you wouldn’t be able to access Google Assistant by saying Ok Google. Instead, you would have to launch it by tapping and holding the Home button. So next let’s talk about how to disable it. There are two different apps on which you can disable Ok Google, but it depends on if your phone has Google Assistant or not. Well, it isn’t that important though because if you turn it off from one place, it gets turned off on the other too. 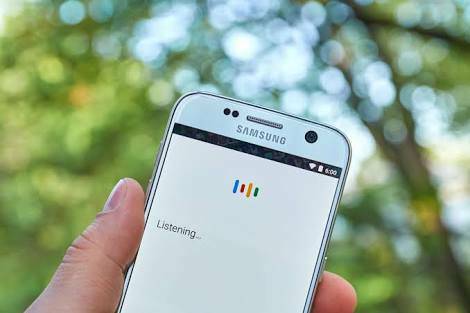 As such, we are going to talk about the method which everyone can use whether they have Google Assistant or not use the Google app. Every Android phone comes with the Google App already installed on it by default and to some extent is an essential part of the Android OS. So go to your app menu and launch the Google app. On the Google app, tap on the three lines icon at the top left of the screen to open the app’s menu, or you can just make a slide gesture from the left side of the screen eastwards. Tap on settings. If your Android smartphone also has Google Assistant, you can also access some of the app’s settings from there. Tap on “Ok Google detection”. Tap on the slider next to “Say Ok Google” any time to disable the feature. And that’s it, you have disabled the “Ok Google”. Note that the Ok Google feature would still be activated when you are in the Google app or if you use Google Now launcher. Also, note that your Android device may or may not have the “Trusted Voice” option. However, be rest assured, this is not so important at all.